SuiteSports would like to welcome new contributor Adam Lowenstein aboard. Adam is a stat whiz that specializes in Boston-area teams, but his first piece will drop some Major League Baseball knowledge on you.-Ed. There have been five MLB no-hitters, all by different pitchers, on May 15. 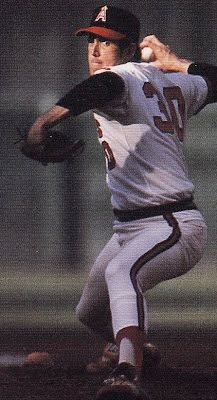 The most notable one was the first of Nolan Ryan’s storied career. In 1973, three days after nailing down his first save of the season, the California Angels righty struck out 12 Kansas City Royals en route to the no-hitter. Ryan’s seven no-hitters are the most in baseball history. Cincinnati Reds left-handed reliever Clyde Shoun, who was making his first start of 1944, also registered a no-hitter on May 15. His was against the Boston Braves as the Reds won 1-0. Shoun was nicknamed “Hardrock” for his tremendous fastball, but only had one strikeout in Cincinnati that day. In 1952, Detroit Tigers starting pitcher Virgil “Fire” Trucks entered May 15 with a 5.54 ERA, but threw a no-hitter against the Washington Senators. He gave up one walk and hit two batters through nine scoreless innings. The score remained 0-0 as bottom of the ninth began, but with two outs and no one on, Tigers right fielder Vic Wertz hit a home run to officially make it a no-hitter. Then, in the second game of a doubleheader between the Chicago Cubs and St. Louis Cardinals at Wrigley Field on May 15, 1960, Don Cardwell did not allow the Cardinals to get a hit. After the Philadelphia Phillies traded Cardwell to the Cubs, he made his first start with Chicago a memorable one. Later in Cardwell’s career, he was a part of the “Miracle Mets” championship team in 1969. As a part of Len Barker’s only All-Star season, he pitched the 10th perfect game in MLB history. In 1981, the Cleveland Indians defeated the Toronto Blue Jays, 3-0, with just 7,290 fans in attendance at Cleveland Stadium. Barker, who fanned 11 Blue Jays on May 15, went on to lead the American League in strikeouts for the second straight season. In addition to the five MLB no-hitters, there was one in 1915 pitched by Claude Hendrix of the Federal League’s Chicago Whales.